In further pursuing the exploration which my chance encounter with Lisa had begun, I asked my ongoing students for their comments. I was particularly keen to receive feedback from those in my monthly study/supervision group who had been students and practitioners for seven to eight years or more, feeling that they would have a more rounded perspective to offer, based on going through many different stages in their relationship with astrology. They were asked to reflect on the healing and wounding aspects of working within the astrological model, from the viewpoint of the impact their involvement had had on their personal lives. Here is their feedback which I found rich, eloquent and varied. “I came to astrology when you read my chart in May ‘87. Suddenly, after twenty one years, old pain I had partly buried, partly learned to live with, resurfaced. I had to come to terms with it, heal it, if I were to live with myself. I had had a difficult time when I was nineteen. At the time of the consultation, Uranus was squaring the Uranus of those events in 1966, and Pluto was conjunct my Chiron – for me, astrology has always been a healing tool. 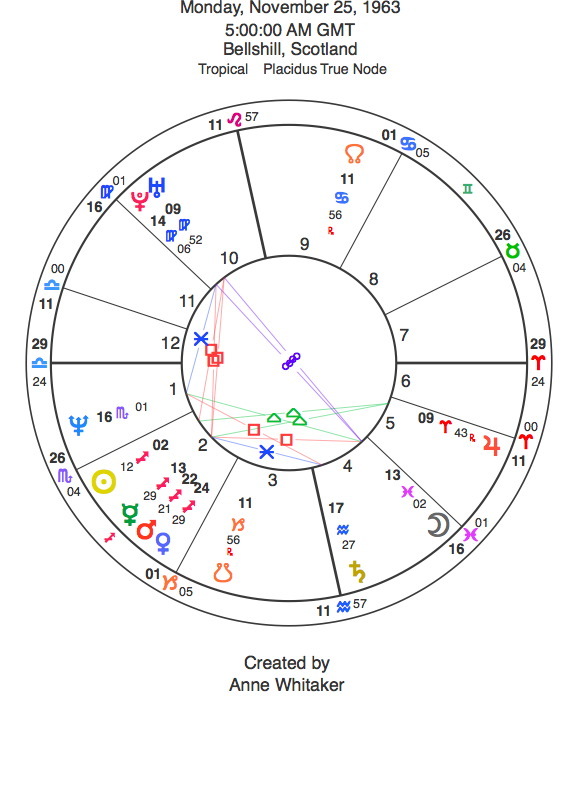 More recently, it helped me through the period of my father’s death in 1993 by enabling me to detach and accept by understanding the process.The Uranus/ Neptune conjunction was exact, squaring his 19 Libra sun. At the moment of his heart attack, the Ascendant was exactly conjunct my natal Chiron; Mercury was squaring my Chiron when he died. For me, astrology is an invaluable tool. I trust more now in my own intuition, especially where the timing of events is concerned. I think we all subconsciously know when the time is right to take a decision, make a phone call, accept an offer or whatever. I regularly run up charts for significant moments and find the Ascendant reveals the flavour of the moment, the Moon the timing of the event, Mars the motivating force underlying it and Mercury often literally brings the message. An interesting example of this is when I began to realise that the house I lived in was playing a part in my healing process. Being convinced of the significance of certain moments in time, I ran up a chart for the exact moment my husband and I entered the house for the first time as owners. It was Hallowe’en 1984 and the sun was at 8 Scorpio conjunct my Chiron. 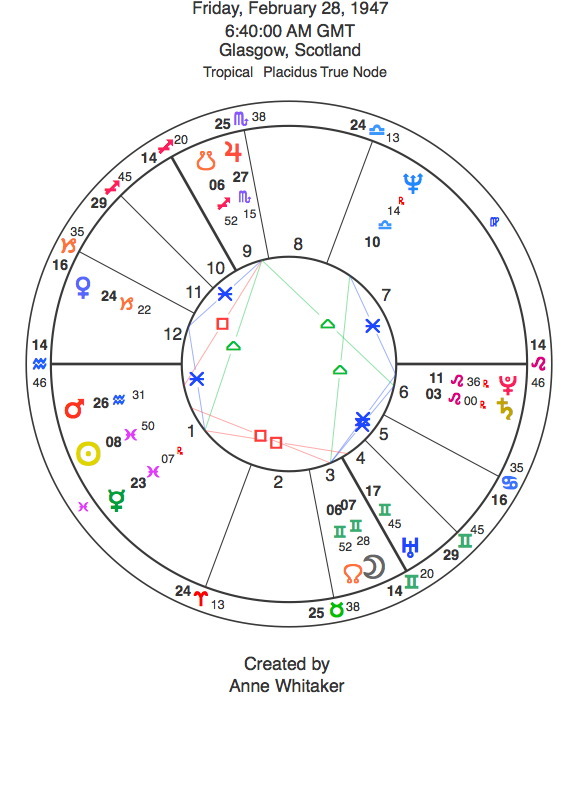 Not only that, the house’s Chiron was conjunct my Moon and Node at 7 Gemini, the Moon was on my Ascendant and Venus on my MC. 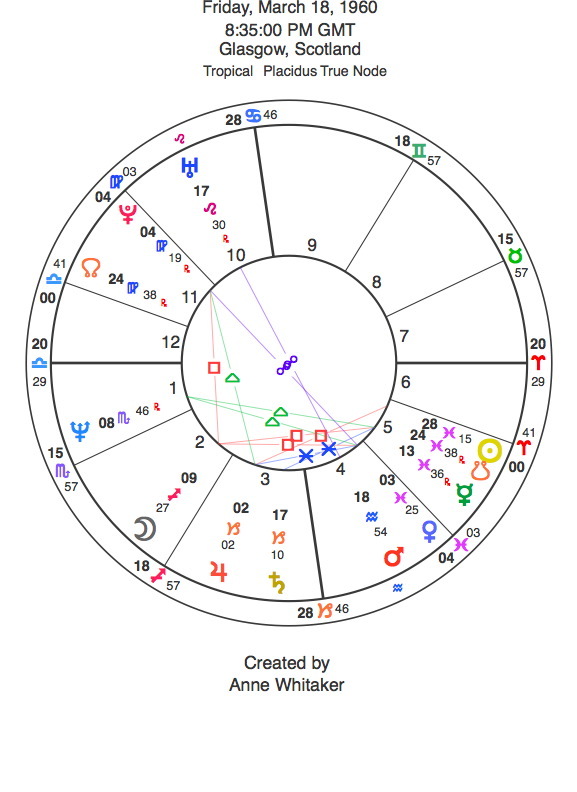 Even more incredible, the Ascendant of the house chart was 29 Cancer 27, which turned out to be the Jupiter of W.G. Morton, the artist who had had it built in 1912 – his Jupiter was 29 Cancer 30 ! Morton’s ghost haunted the house ; I felt I could help him let go and move on. My Pluto at 11 Leo is exactly conjunct his Moon and IC at 10 and 11 Leo. These amazing synchronicities prove to me how finely tuned our lives are, and what a gift astrology is in helping me interpret the meaning of my life, face up to the dark side of my nature and co-operate as best I can with transits as they ebb and flow. We don’t always get what we expect. My Mum’s Sun, Venus and Mars are at 2,6 and10 Sagittarius respectively. With Pluto crossing these degrees and also opposing my Moon Node conjunction at 7 Gemini, I was scared I was going to lose her. She is 84 ; when I looked ahead to these Pluto transits, it seemed a likely outcome. I’m sure you would agree that projecting fear onto upcoming transits is one of the most obvious facets of the wounding side of astrology……. However, as Pluto stripped away all that was unnecessary in her life, she began to give away her money and her jewelry and to talk about her death in a very matter-of-fact way. How could she see us enjoy our inheritance if she’d gone? Better still, she began for the first time in my life to tell me she loved me and was proud of me, words I had waited for all my life. I no longer live in fear of her death, but accept all our time together now as a bonus. 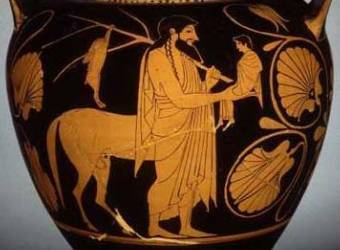 During this period, Chiron was also busy. On the day she gave me , out of the blue, a large sum of money, Chiron was 2 Sagittarius ,conjunct her sun, and the IC of the moment! “ On the whole, I’ve been very lucky with the astrologers I’ve met. Almost all have been good people, good astrologers and have definitely helped me on my way. From a personal viewpoint, astrology has helped me to open my heart and my soul to a way of being centred on self-acceptance and love; I’m not sure I would have managed that otherwise. I’ve learned to treat myself with a bit more sympathy and understanding – and hopefully treat other people the same way. My experience of astrology has opened me to the deeper mysteries of life – even if I can’t put that into words or fully understand it, I know it’s there. That’s such a healing experience, because the sense of awe makes me want to try harder to be responsible for my life, to live it in a positive way. Having said all that, for a while I didn’t look at the Ephemeris or any astrology. Partly, the reason for that is that astrology can turn me away from my own life. That seems a complete contradiction to what I’ve just said. Maybe, for me, this is the wounded/wounding side of astrology – being so busy reading astrology, looking at charts, thinking about aspects, looking at planets, transits, progressions, or midpoints meant I was too busy to live my life in the present – I would be thinking about the past or looking to the future. “ I’ve never really been asked to consider the wounding aspects of astrology in such a direct way before. I did have a bit of a job focusing on the question without the more positive aspects coming up all the time! I think the serious study of astrology knocked me out of the idyllic vision I had had of my family background. I had to accept that my parents weren’t perfect, and the overall effect of this was enlightening but also disappointing. It kind of knocked me into the real world and showed me things as they were which I found quite hard to come to terms with. Seeing things in black and white on the astrological chart led to a lot of resentment on my part, raising a lot of difficult questions which I’m still working hard to understand. I think this can sometimes sidetrack me and stop me getting on with things, and lead to some disasters which might not have occurred otherwise – although I would say I do have a natural tendency to analyse things anyway. Astrology just provides more scope for this. There is also the question “ why me? Why did I have to have this chart?” which may be quite childish, but did lead at one time to some resentment at the apparent unfairness of it all. Especially when you are grappling with hard Pluto and Saturn aspects. You know you have your work cut out for you, and that life is not going to be easy. The prospect of living your life with these aspects can be quite daunting and depressing, and lead to a lot of despondency at times. Another factor that’s hard to take on board is that you are responsible for yourself. You can’t go around blaming other people for your misfortunes all the time. You have to take responsibility for your part in the drama. It’s your stuff, and you’re the only one who can deal with it. This can lead to a lot of self criticism on my part, and a good deal of depression if things aren’t working out. “ My first experience with ‘real’ as opposed to ‘Sun Sign’ astrology was at night school. My birth chart was not what I had expected. I was a true Sagittarian, adventurous, lucky, fun loving and optimistic, wasn’t I ? Oh yes – I was pleased with my grand trine in fire. That made sense; but a meek, mild, service-seeking Virgo ascendant was not exactly me. Oh well, I suppose I could come across that way to some people. Then I see it – a small black glyph sitting right on top of my Ascendant. It must be a mistake. I feel like scrubbing it out. I don’t want Pluto there on my lovely chart. I’m nothing like a Scorpion type – moody, emotional, secretive, jealous, controlling. My Venus sitting smugly in Capricorn does not enhance my frame of mind. I take small consolation from hearing it is earthy and loyal. I feel cheated, and continue to long for Venus in Taurus. Gradually over the term, astrology stripped me of my pre-conceptions of myself, and left me exposed to the facts. I could no longer carry on in blissful denial of the deeper, darker side of my nature. A significant turning point came when I was asked to explain the types of things which had been happening to me, since I was experiencing my Saturn return at that point. I couldn’t explain. I hadn’t a clue what was going on. Where did I start? My teacher then summarised, in a couple of minutes, the way I had been feeling and how it was all part of a process. The light had been switched on. It was an amazing experience. I felt understood, accepted, and not alone. Ten years ago, with Chiron crossing my IC/South Node , I was drawn to reflecting on my involvement with astrology both as a student, practitioner and teacher. 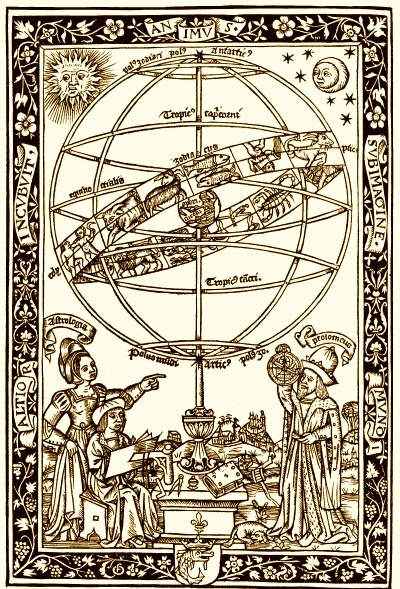 The result was “Astrology as a Healing and a Wounding Art”, published in Apollon, The Journal of Psychological Astrology, in Issue 3, August 1999. 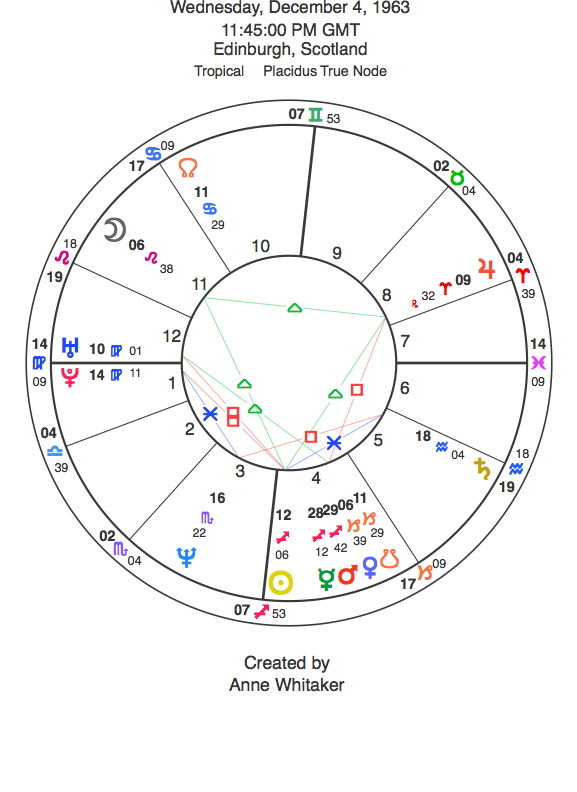 Now, with Chiron, Jupiter and Neptune squaring my MC/IC/Nodes, it feels like an appropriate time to offer out the observations and insights of my then clients and students to a new audience from a new context. Reading the article again after such a long time, their thoughtful comments still seem to me to be powerful and illuminating. I hope you enjoy and benefit from what they have to say. The article will appear in three installments. It has been slightly edited. Names have been changed for confidentiality. who climb each night the ancient sky. We do not know why we are here. This could be said to be the primary wound of humankind. In order to assuage it, and in attempting to heal it, we have spun around ourselves a web of wonderful richness and intricacy, woven of many bright threads of myth, poetry, religious belief, art, sacred architecture, storytelling, music, adventurous quests of mind, body and spirit. Wars have been fought, and countless millions of lives destroyed, in the clash of differing religious beliefs, and socio-political theories, which have been created in our attempts to heal that primary wound by creating a sense of meaning and order. However, despite the best efforts of the greatest minds throughout the whole of our history, we still don’t even know what consciousness is. Far less do we know why we tiny creatures, wonderfully creative and terrifyingly destructive, cling to planet Earth, an insignificant speck of planetary gravel hurtling through the vastness of infinite space. Thus we need teleological frameworks more than ever. This need is reflected in the proliferation of paths on the quest for meaning which seem to be opening up as this new millennium begins. The longest trodden of them all, about to enter its seventh millennium, is astrology. Not only has it survived the onslaught of contemporary science – but may even be seen in some quarters to be making alliances with it ! It is easy enough to talk about the positive healing benefits of an astrological framework, providing as it does a major defence against meaninglessness and insignificance. Feeling connected at a personal level to loved ones and friends is recognised as a major factor in promoting and maintaining physical, emotional and mental health and happiness. Feeling connected at a more cosmic level lets us see that we are not random accidents in time and space, but threads in the weave of a greater pattern – very small threads perhaps, but contributors nevertheless. This awareness promotes a sense of spiritual well being. There is also the sheer fun, excitement and intellectual discovery which the study of astrology brings. The sense of wonder and significance which comes with realising, for example, that one transiting aspect can and does produce a range of observable manifestations, all apparently different, which spring from the same core, never quite stops being thrilling no matter how long you’ve been a practitioner. Saturn in Scorpio squared my Moon during the nineteen-eighties. I don’t especially recall what the emotional challenges of the time were. But I still vividly remember that my favourite silver chain turned almost black for no reason at the start of the transit, resisting several jewellers’ attempts to clean it up. It was dumped at the back of a drawer. Just after the transit was over, I came across it again – as sparking bright as the day I got it. Every bright light, however, has a dark shadow; in the promethean nature of our art lies its shadow too. It is all very well to steal the gods’ fire, with the noble intention of liberating humanity from some of its bonds with the powerful enlightenment which that fire brings. But fire burns. It is impossible to light up the darkness of our human limitations of perception, without the hand that holds the illuminating fire being burned by it. It’s not so easy to talk about that. But it does less than justice, in exploring the impact of the astrological model on human consciousness, to concentrate on the healing aspects of the interaction, whilst glossing over the wounding dimensions. Exposure to the model brings both. Impetus in translating this essay from inner reflection to grounding in the actual world of people’s lives came, fittingly enough, from a recent chance encounter with a former client, Lisa, now aged thirty three. She was very excited about her imminent departure to live and work in California, and we talked about that. But then, quite unexpectedly, she brought up the subject of the one-off reading I had done for her eight years previously. In common with most astrologers, I am always interested in feedback from former clients, especially those with whom one only has a one -off encounter, and usually no idea of what the impact of the experience over time has been for them. “ It must be about eight years since I came to you for a reading, but there are one or two things that stand out in my memory about that visit. The first was how accurately you were able to describe aspects of my character – I can’t pretend to understand it, but for some reason seeing it laid out in front of me was very reassuring. Perhaps because it gave validity to my personality. That was who I was, and you encouraged me to feel good and confident about that. Lisa’s feedback was pleasing and illuminating to have. If compared with feedback which other astrologers receive on the effect of their one-off sessions, I feel pretty confident that the core of it would be similar, although of course individual clients as Lisa did, would also emphasise individual themes peculiar to their own horoscope. Competent and sensitive astrological work, one hopes, has an impact on clients’ lives where the healing dimensions are very much to the forefront of their experience. In trying to establish a general guideline for the interplay of healing and wounding in people’s response to exposure to the astrological model, one could use the simple image of light for healing, and dark for wounding, quite effectively. My feeling is, if we take a broad spectrum from very bright at one end to very dark at the other, that one-off consultations, well handled, with clients who are at the right point of readiness for the experience, would occupy a position very close to the brightest end of that spectrum. Where individuals find themselves, of course, depends on a number of factors such as age, experience, maturity, sensitivity or otherwise, degree of stoicism, capacity for joy and faith in life, predisposition to depression, and so on. There is also movement up and down the spectrum, depending on the same range of factors combined with what life chooses to dish up at various points. So this image is only meant as a general reference tool ! However, experience and observation tell me that the more exposure there is to the astrological model, the more people’s position begins to shift from bright to darker, as the promethean implications of involvement begin to emerge. As I write this I am thinking of a very bright and gifted male client, now in his mid-forties, who has been coming for astrological reviews every year or two for over a decade. His horoscope is rich and complex; at its heart lies a grand cross involving the Sun, Saturn, Neptune, Uranus and the Nodes. This complex pattern links in with both his brightest gifts and his deepest pains, and we have worked with that pattern on sufficient occasions now for him to have developed a clear understanding of the paradoxes it brings. On balance, he feels that having the framework which astrology provides is more healing than wounding. But it doesn’t stop him, for example, fearing his Saturn transits, at the same time as he knows intellectually that the upcoming challenge of each one is to define who he is in the world more clearly, whilst jettisoning ever more of the painful old baggage which slows him down. He now knows that the problem with accepting Prometheus’ gift is that under no circumstances can one give it back, even if one feels too vulnerable at times to be able to cope with it very well……….. I realised recently that this award-winning short story has been quietly lurking in the Growing Up page since summer 2008, never having been posted on the Weblog. 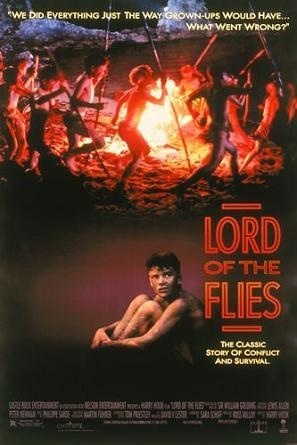 Those of a slightly squeamish disposition might be advised to read the first section or two of ‘ My hero the villian’ with their eyes closed – remember “Lord of the Flies?” and how savage children can be ? Those who are over fifty will be reminded of some of the sexist attitudes to girls which prevailed in the middle decades of the last century ! And all of us who have ever been children will remember that one of the sad but necessary entrance fees to the adult world is loss of innocence…. Archie’s mother was out. The radio was on, blaring out Elvis Presley’s “Heartbreak Hotel”, his latest hit. I hate it. Archie says it’s because I’m too young to know heartbreak; he is twelve, but I’m only nine, and a girl. I was suggesting digging to Australia during our holidays. He was sitting with his feet up on the kitchen table, cutting lumps off a slab of butter, rolling each lump in sugar, tossing it in the air and trying to catch it in his mouth. Swinging his feet down, he nodded. “Yeah, that’s a great idea.” He made for the door. “Come on! We’d better pick a good site before it gets dark.” It was two o’clock in the afternoon. I followed him, gratefully. Out the kitchen door we hurried, down the concrete path, not even stopping to hurdle the dustbins. We jumped over the wire netting fence separating the vegetable patch from the jungle of weeds and willows where his dad, a budgie breeder, laid dead birds to rest. What a good time we’d had in the budgies’ graveyard last summer holidays! Unfortunately, my father saw us shooting arrows at dead budgies hanging from the clothesline. Fathers have a habit of putting a stop to fun. We were banned from the bottom of the garden for the rest of the summer. I still don’t see what all the fuss was about….they couldn’t FEEL anything…. “Hey Deirdre!” Archie had vanished into the weeds. “How about here?” I followed his voice, picking my way through the nettles. He was sitting on a sheet of rusty corrugated iron, pulling the wings off a butterfly. “Huh…. girls never notice anything.” Hurt, I said nothing. Digging that hole was hard work. We had two bottles of lemonade from our larder, and a packet of biscuits stolen by Archie from the shop across the road. “Oh shut up!” Archie said impatiently. “Let’s get on with it.” We worked all day, stopping only to go home for our dinner. “Can I have some more mince, please?” I asked. I had eaten the two hills, the roads and there was no gravy left for the river. She gave me some. My mother would like it if I wore a skirt and a ribbon in my hair. But I don’t like girls. They’re boring. “What are we going to do with these worms, Archie?” We were digging up the longest, fattest worms I had ever seen. “Seems a pity to waste them, doesn’t it?” he said, scratching his head and thinking very hard. “I know! Just you wait here.” He went off to the shed and came back with a hammer and some nails. “Right, pick up a few and bring them over here.” He walked towards the willow trees. I had never picked up a worm in my life. Closing my eyes and trying to think of something else, I collected about ten of them. They were slimy and clammy and they squirmed in my hand. “We’ll have a laugh here,” said Archie. “Hand me one at a time.” I watched him as he nailed them to the trees. Wriggling and jumping, they oozed slime and worm blood. Archie grinned at me. “They don’t take long to die.” Feeling sick and dizzy, I forced myself to watch. At last they just hung there, limp. It was Saturday morning. I was lying in bed eating a bacon sandwich, and drinking the tea my mother had brought me. I was thinking about the hole; it was getting deep. What would we do about the water? “Deirdre!” Oh blast ….she would be wanting me to go into town.We’d be held up with the digging. “Deirdre! Come and see your uncle Angus – he’ll be off in a minute.” That was different. I liked my uncle Angus a lot. He always looked as if he was just about to have an adventure. I didn’t know what his job was, but I had overheard him talking to my father. It was something to do with nets and seals and the police. Jumping out of bed, I pulled on my jeans and a jersey, and ran downstairs. “Of course,” said I, not looking at my mother. It was worth the row later. I wanted him to like me. Xmas or my birthday. I stared at him, not knowing what to say. “O.K.” I didn’t say anything else, just winked at him. He winked back. My mother glared at me as I made for the door. “Be back here in time for your dinner!” she called. I stopped . “What’s for dinner, then?” Grinning, uncle Angus pointed to the draining board.There lay two huge silvery salmon. Out of sight of our house, I sat on a low wall. I needed to think. Archie would be working on the hole. He would be so angry if I said I was going down town. He thought I was less stupid than most girls. I didn’t want to make him mad. But I loved having all this money. If I didn’t spend it today it might fall down a drain. I looked at the four half crowns. One was very new and glinted in the sun. Archie could have a share! I could give him a shilling…. or even one and six. But I knew Archie. He wouldn’t be happy. I put two half crowns on the wall, then the other two, whilst making up my mind. Half shares each! That would please him, wouldn’t it? Archie was busy. He straightened up when he heard me coming. “Where have you been, you lazy little runt?” He was really mad. Just wait till I told him! “Down town? With all this work to do? Clear off. Go yourself.” He turned his back and carried on digging. “Half.” He was out of that hole like a shot! What a time we had! We got a big ice cream each from Cabrelli’s. In Woolies, we bought a matchbox car each, and new pencils with rubbers on the end. We bought marbles and plasticine. Archie bought a water pistol; I bought a lead cowboy whose hat and gun clipped on and off. Archie called me a swot when I got a bottle of ink for my new fountain pen. We were thrown out when he frightened one of the assistants with his new plastic jumping frog; but the money was mostly gone, so it didn’t matter. We stopped at the corner sweet shop to spend our last few pennies on sherbet fountains and lucky potatoes, eating them on the way home. 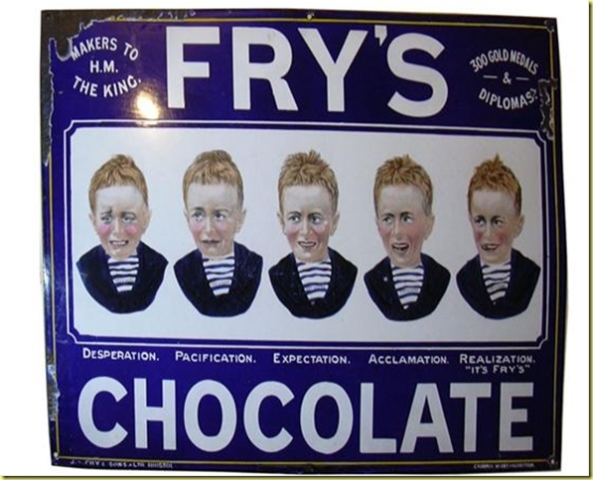 I should have got a Five Boys, I thought; my favourite chocolate, you could bite the Boys’ faces off one by one, leaving the smiling one to last. But I had no money left. As we walked, we tried to decide what to do about the water coming in the hole. We walked quietly for a bit, thinking. 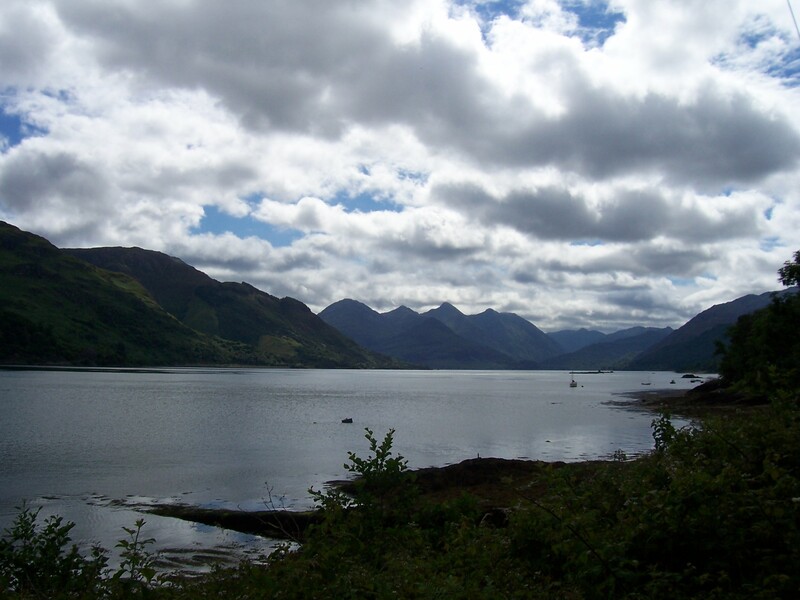 A short way from his house, Archie brought a bar of Five Boys out of his pocket. Removing the wrapper, he began to bite the Boys off one by one. “In Woolies,” he replied. “When you were getting your ink.” There were only two Boys left. Suddenly I felt sick. “Must get home for my dinner” I mumbled, not looking at him. As we reached his gate I started to walk really fast. “Cheerio, then,” he said. “See you this afternoon.” I didn’t answer. That night I dreamed about Archie. He was in the hole, digging.The water began to rise. It rose very quickly.The hole was too deep for him to get out. He started screaming, and calling to me for help. He couldn’t swim. I did nothing and said nothing; just sat and watched until the surface of the water was calm.